American Robin Watercolor Art is a portrait of a robin perched on a branch in spring. This artistic watercolor piece is one from a series of watercolor birds and is a beautiful addition to accent any room. 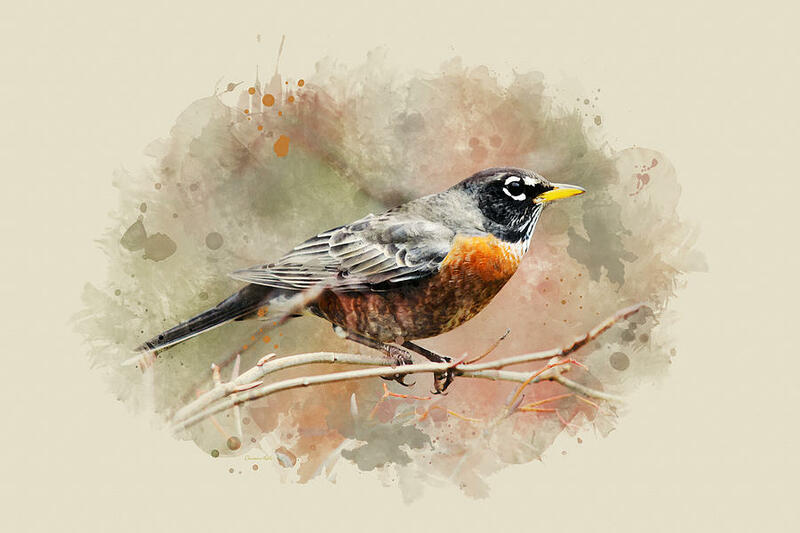 American Robin Watercolor Art is digital watercolor painting with soft natural colors to enhance your decor. This robin was designed to mix and match with more birds from this series. Be sure to check out my home decor accessories that are available to compliment this piece. Add decorative throw pillows, a duvet cover, and shower curtain. American Robin Watercolor Art prints and accessories make great gifts for bird watchers, nature lovers, and art collectors! Enjoy more from my collection of watercolors at www.rollosphotos.com. Shop with confidence! Every purchase includes a money-back guarantee. Goldfinch Watercolor Art is a portrait of a beautiful goldfinch perched on a branch in winter. This artistic watercolor piece is one from a series of watercolor birds and is a elegant addition to accent any room. 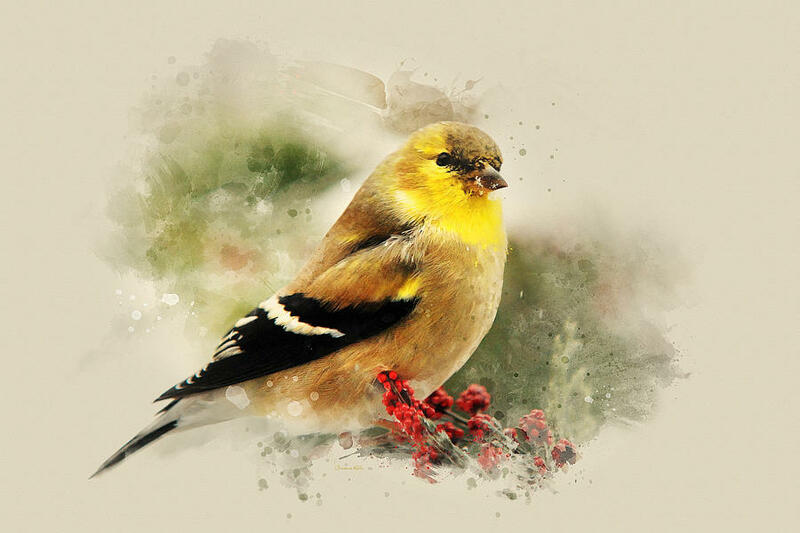 Goldfinch Watercolor Art is digital watercolor painting with soft yellow, green and beige colors to enhance your decor. The bright yellow and rich red colors on this piece really makes it stand out. This goldfinch was designed to mix and match with more birds from this series. Be sure to check out my home decor accessories that are available to compliment this piece. Add decorative throw pillows, a duvet cover, and shower curtain. Goldfinch Watercolor Art prints and accessories make great gifts for bird watchers, nature lovers, and art collectors! Orange Drift Monarch Butterfly is a colorful fall photograph of a beautiful monarch butterfly feeding on red chrysanthemum flowers. This piece is one from my collection of fine art butterflies with rich red and orange autumn colors. 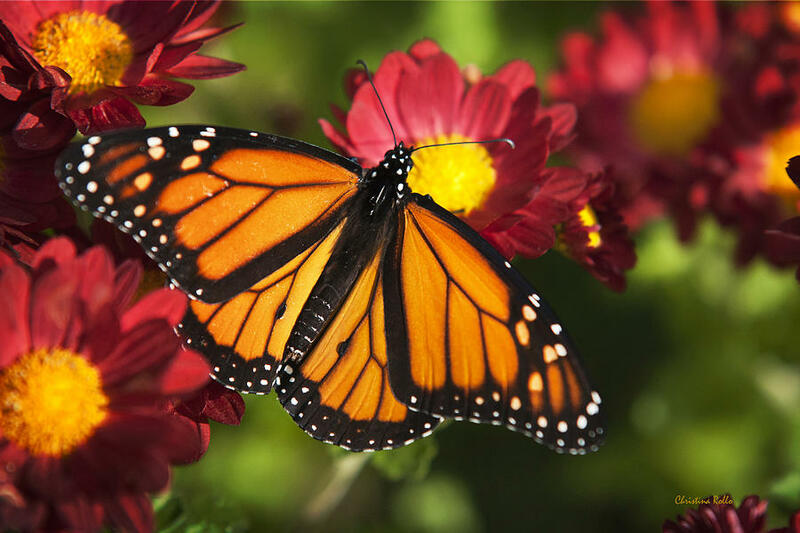 Orange Drift Monarch Butterfly will add a splash of bold color to enhance your decor. This colorful monarch butterfly is designed to mix and match with more butterfly prints. Enjoy a variety of home decor accessories available to compliment this piece. Add decorative throw pillows, or purchase tote bags to give as gifts. Orange Drift Monarch Butterfly prints and accessories make great gifts for nature lovers, butterfly enthusiasts, and art collectors! Enjoy more from my butterfly collection at www.rollosphotos.com. Shop with confidence! Every purchase includes a money-back guarantee. Beautiful Chickadee Watercolor Art is a portrait of a cute black capped chickadee perched on a pine cone in winter. This artistic watercolor piece is one from a series of watercolor birds and is a beautiful addition to accent any room. 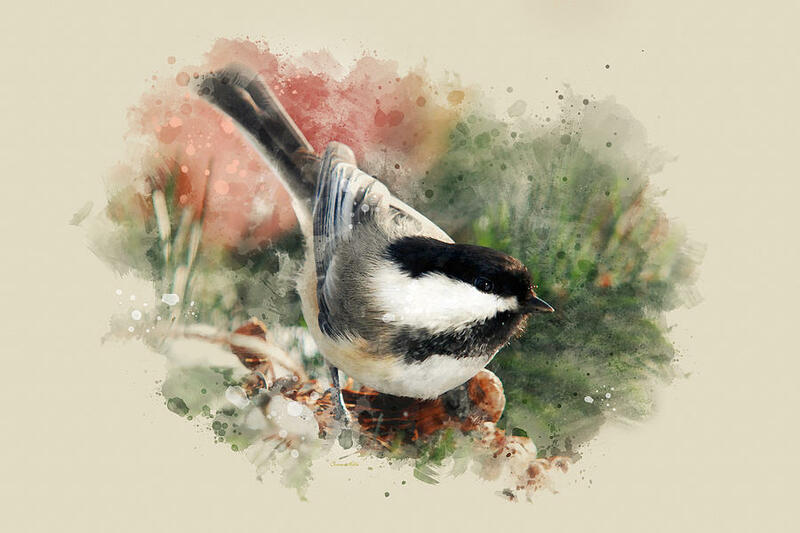 Beautiful Chickadee Watercolor Art is digital watercolor painting with soft natural pink, green and beige colors to enhance your decor. The black and white contrast of this friendly little chickadee bird really makes it stand out in this piece. This adorable chickadee was designed to mix and match with more birds from this series. Be sure to check out my home decor accessories that are available to compliment this piece. Add decorative throw pillows, a duvet cover, and shower curtain. Beautiful Chickadee Watercolor Art prints and accessories make great gifts for bird watchers, nature lovers, and art collectors! Buy a 20.00 x 16.00 stretched canvas print of Vanishing Autumn Reflection Landscape Canvas Art for $119.00. 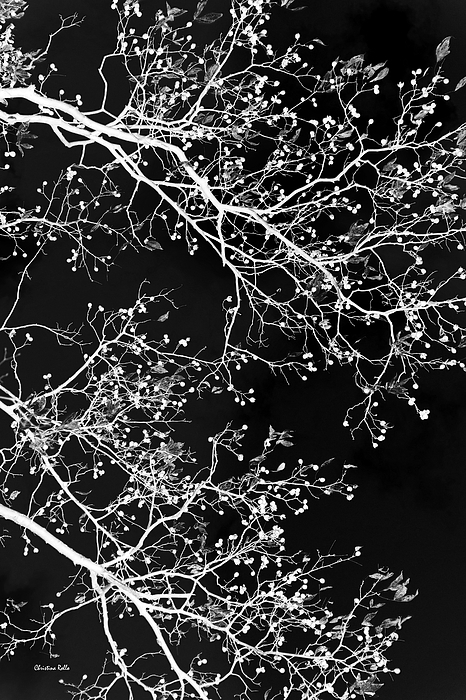 Only 25 prints remaining. Hurry! Limited Time Offer expires on 10/18/2015. 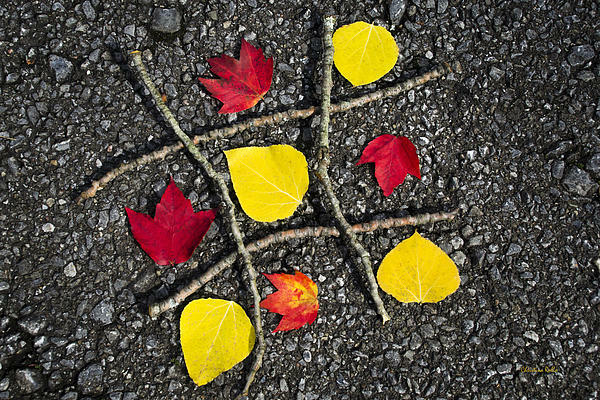 Are you interested in capturing some colorful fall photos this year? 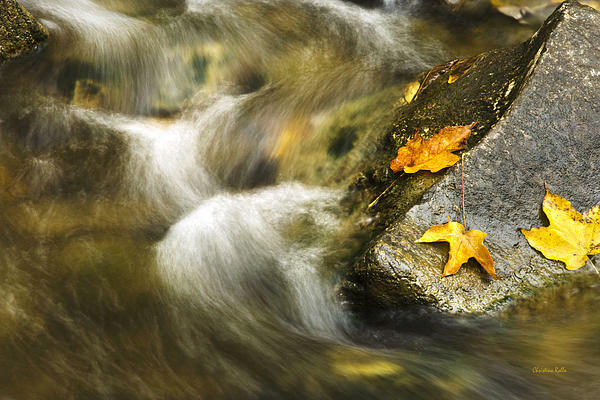 Follow these steps for creative fall photography, and capture those rich vibrant colors. Autumn is my favorite time of year for photography. It’s the grand finale to summer but the weather can be tricky sometimes. Believe it or not those fall trees with beautiful bright colorful leaves will look more vivid and vibrant under low light. 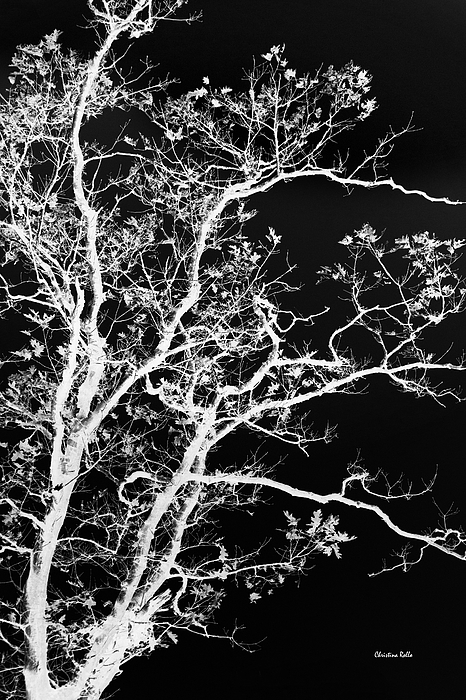 On a clear sunny day early morning or evening is the ideal time for fall landscapes. Photographing landscapes with even light will really make those colors pop! Don’t put your camera away on an overcast day, get outside because it might be your best light. 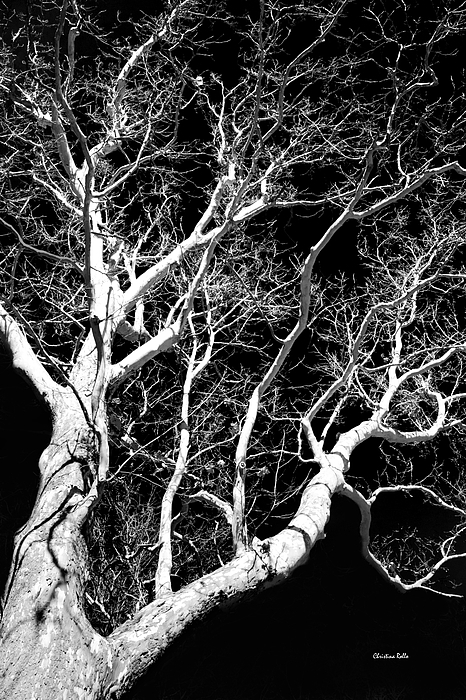 Set your white balance to cloudy for the best results. 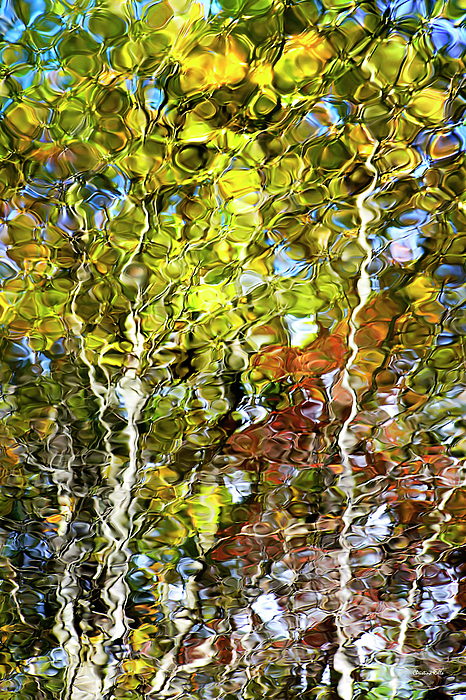 If you like abstract photography, capture those beautiful colors reflecting light on lakes and ponds. Every photograph you take will be original and unique. 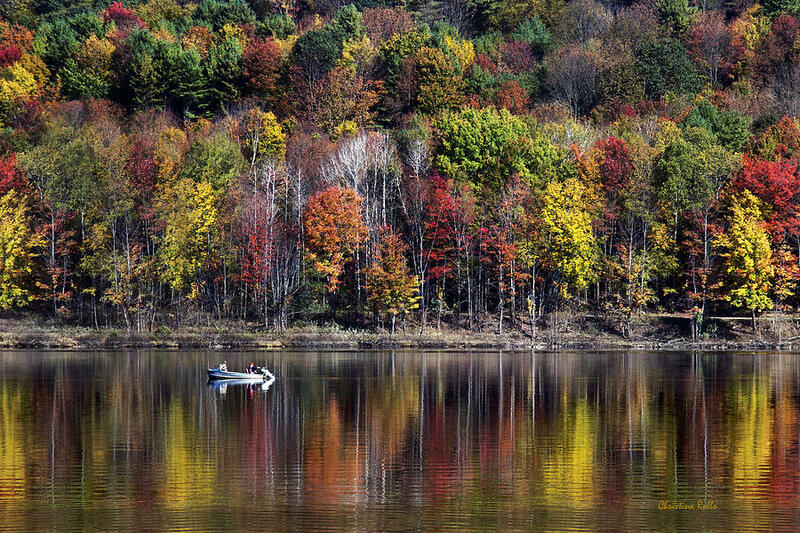 Mix your fall photography with a nice long hike through the woods, or a trip to the pumpkin farm. That way you can enjoy the best of everything fall has to offer! Please visit my official website www.rollosphotos.com to enjoy more from my collection of fall photography and shop with confidence. Every purchase includes a money-back guarantee.